Yes, you read that right, a surgeon in the United Kingdom signed his initials on his patients’ livers during surgery: an act of complete ignorance or at least pure arrogance…perhaps a bit of both. He paid for the foolish decision with a 12-month community order and £10,000. According to The Guardian, Siman Bramhall used an argon beam, a tool to highlight particular areas and stop bleeding during surgeries, to carve his initials, S.B., into the livers of his patients. 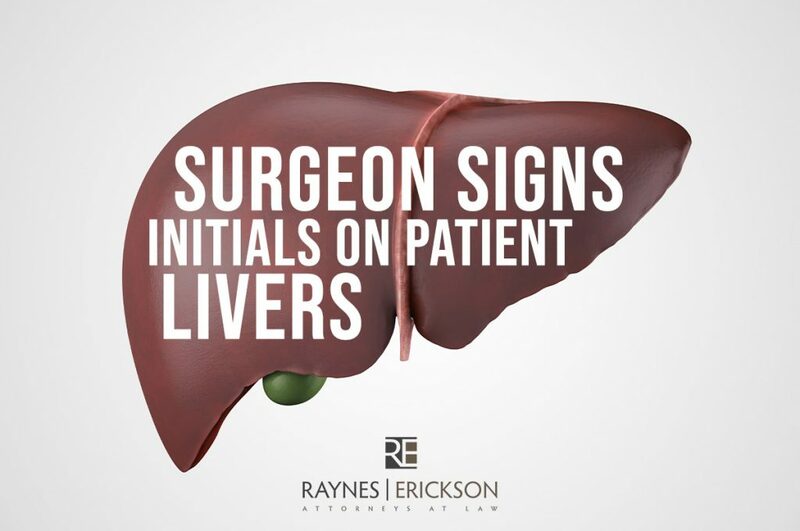 Though doing so does not impair liver function or cause harm to the patient in any way, the act was described as an arrogant violation of patient trust. The intolerable violation was more bizarre than it was harmful. However, prosecuting attorney Tony Badenoch QC explained that Bramhall’s actions were done without the consent of the patient nor for any clinical reason whatsoever. Consequently, victims of the signing had reported feeling violated and psychologically harmed. Conclusively, the case did not require any restriction to Bramhall’s registration as a surgeon. Instead, he was issued a formal warning as his inappropriate behavior had not met the standards of a competent doctor. In a reflection of this laughable case, we remember that mistakes, even those borne merely of arrogance, occur frequently. At Raynes and Erickson Law Firm, we hope that your physicians and medical caretakers are all entirely worthy of your trust. However, in the case of inappropriate behavior within a doctor-patient relationship, we are here for your legal assistance. Please call with your concerns.